Deer Velvet has been used for centuries in Traditional Chinese Medicine (TCM) for it’s anti-ageing properties, here’s why.. Deer Velvet is a renewable resource, with stags growing a new set of antlers each year. 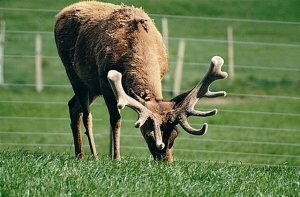 In the early stage of growth the antler resembles bone marrow and consists of fast growing bone, cartilage, nerve supply, blood supply along with a covering of skin. All of this is growing at the amazing rate of up to 2cm per day. As you can imagine deer velvet is packed with all the right nutrients for bones, cartilage and nerves, skin, hair and circulation. Unique growth factors are responsible for all of this growth. They give Deer Velvet “the edge” by encouraging the body to heal and restore. IGF-I promotes bone growth and collagen and encourages the absorption of chondroitin sulfate and glucosamine sulfate. As we age our body’s production of these growth factors drops off . These unique growth factors of bone, cartilage, and circulation, along with the right nutrients for this growth, glucosamine, chondroitin, and minerals, are what make Deer Velvet so effective as a dietary supplement for joints. 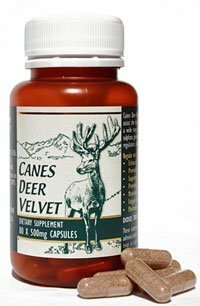 Rejuvenate your joints today with Canes Deer Velvet Antler Supplements. Help yourself to healthy joints today! Check out this month’s special offers.